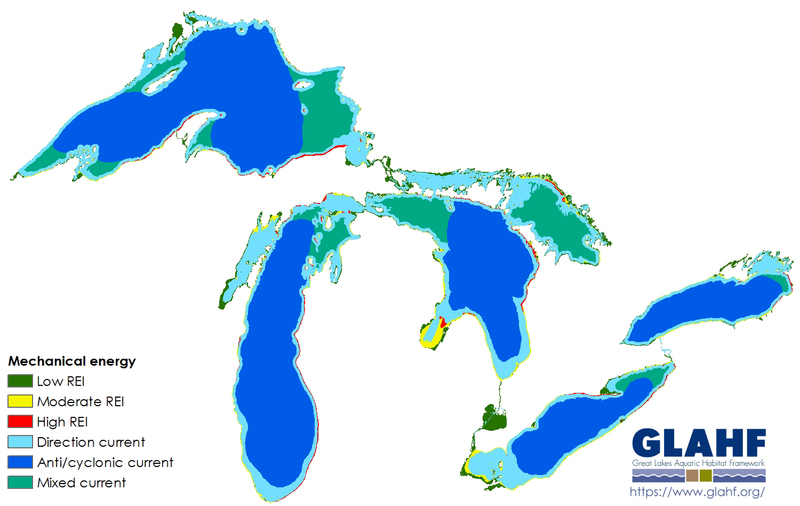 Due to the enormity and complexity of the Laurentian Great Lakes, an ecosystem classification is needed to better understand, protect, and manage this largest freshwater ecosystem in the world. 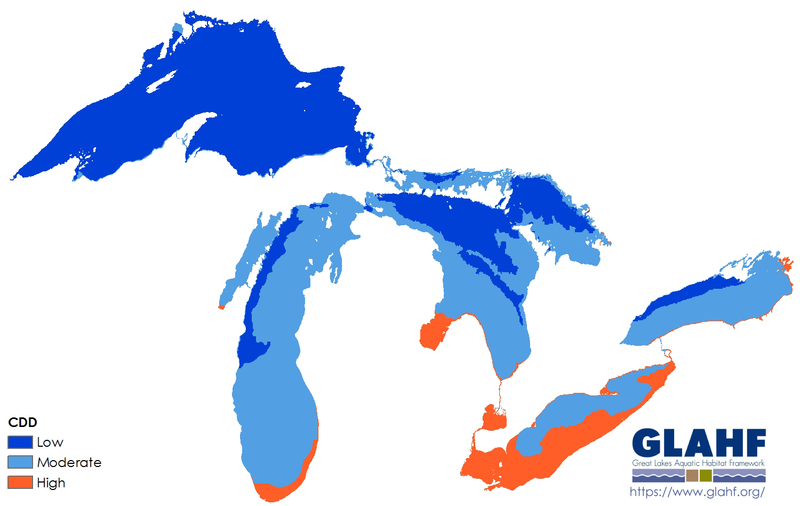 Using a combination of statistical analyses, published knowledge, and expert opinion we identified key driving variables and their ecologically relevant thresholds and delineated and mapped aquatic systems for the entire Great Lakes. We identified and mapped 77 aquatic ecological units (AEUs) that depict unique combinations of four key drivers: depth, thermal regime, hydraulic, and landscape classifiers. See below for more detailed information about the drivers, or on the NOAA Great Lakes Environmental Research Laboratory’s blog! 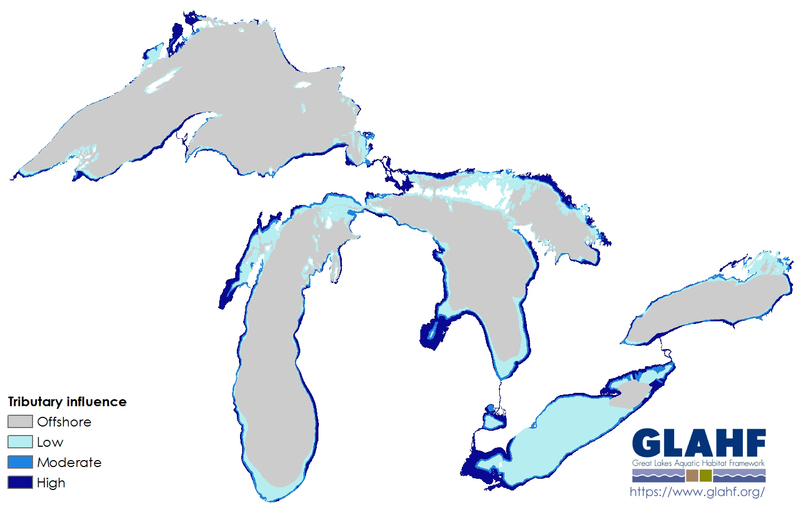 To view the Great Lakes AEUs, click on the image above or visit the GLAHF Explorer to interact with the map. More information about each of the four key drivers can be access by clicking on their names below. 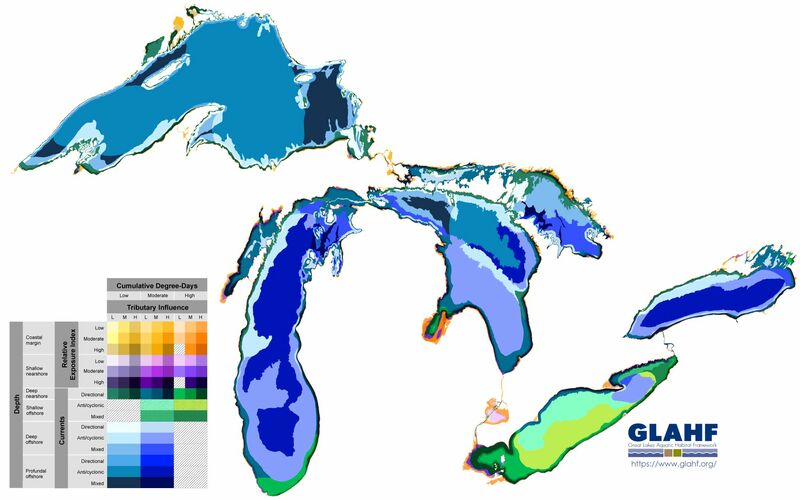 Full details about the development of the Great Lakes classification can be found in Riseng et al., (2018).